Boston, MA and Paris, France – May 29, 2018 — PathMaker Neurosystems Inc. (“PathMaker”), a clinical-stage bioelectronic medicine company developing non-invasive systems for the treatment of patients with chronic neuromotor conditions, won the 2018 French-American Business (FAB) Award in the startup/small company category. 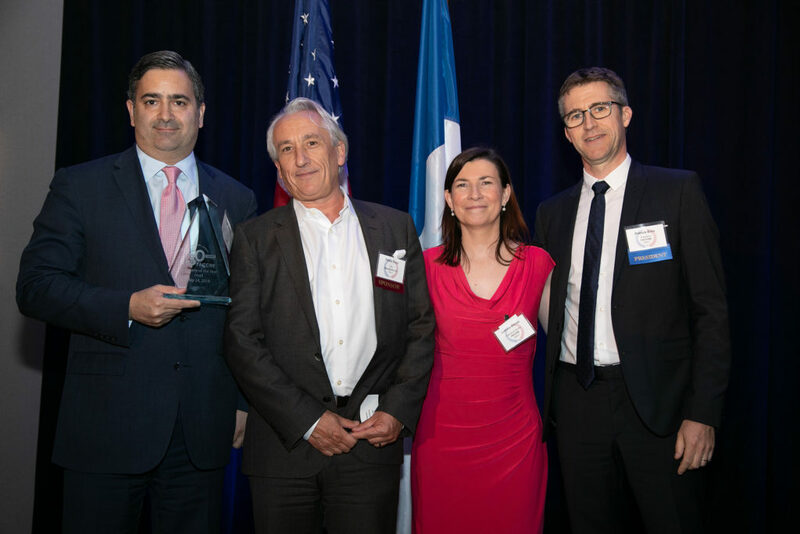 The awards were announced at the French-American Chamber of Commerce of New England (FACCNE) awards gala held in Cambridge, MA on May 24, 2018. Previous life science recipients of this award include Moderna Therapeutics, Mauna Kea Technologies and Nanobiotix. The FAB Awards is an annual competition which recognizes leading business organizations located in New England that have a relationship with France. 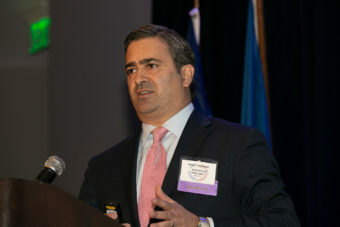 The finalists are chosen by a distinguished FACCNE awards panel of judges who are leading professionals from their industries with ties to France and the New England area, and the winners are selected by the gala audience after finalist presentations. PathMaker’s first product, MyoRegulator™, is a non-invasive device that uses the Company’s proprietary DoubleStim™ technology to durably reduce muscle spasticity. MyoRegulator was one of the first “breakthrough” medical devices selected for the U.S. Food and Drug Administration’s (US FDA) Expedited Access Pathway and is now in IRB-approved human clinical trials. PathMaker Neurosystems is a clinical-stage bioelectronic medicine company developing breakthrough non-invasive systems for the treatment of patients with chronic neuromotor conditions. With offices in Boston (U.S.) and Paris (France), we are collaborating with world-class research institutions to rapidly bring to market disruptive products for treating spasticity, paralysis and muscle weakness. More than 48 million patients in the US, Europe and China suffer disabilities due to stroke, cerebral palsy, multiple sclerosis, spinal cord injury, traumatic brain injury, Parkinson’s disease and other neurological disorders. At PathMaker, we are opening up a new era of non-invasive neurotherapy for patients suffering from chronic neuromotor conditions. For more information, please visit the company website at www.pmneuro.com.